First Bus is appealing against a court ruling, won by a disabled man from West Yorkshire, that the firm's wheelchair policy is discriminatory. Doug Paulley, 36, from Wetherby, was denied access to a First bus to Leeds when a woman with a pushchair refused to move. He won his claim the company had breached the Equality Act in a hearing at Leeds County Court in September. First said its drivers needed to know "what they are legally required to do". The case is expected to last three days at the Court of Appeal. Mr Paulley attempted to board the bus to visit his parents in Leeds in February 2012. But he was told to wait for another when the woman with the pushchair refused to move because her baby was asleep. A judge at Leeds County Court said First's policy of "requesting but not requiring" non-disabled travellers, including those with babies and pushchairs, to vacate the space if it is needed by a wheelchair user was in breach of the Equality Act 2010. Mr Paulley was awarded £5,500 damages. At the Appeal Court in London, Martin Chamberlain QC for First Group said it was an example of a long-running problem on public transport that had "produced conflicting court decisions". He said bus operators were now seeking legal clarity. Mr Paulley said: "Public transport should be for everybody, including parents with pushchairs, but ultimately it is a wheelchair space. "Without that space, wheelchair users are unable to travel on the bus." We stay down in the West Country for the next set of images on the Flickr site. For several years now all military manoeuvres on Salisbury Plain cease and the guns fall silent, as a 'red' invasion occurs. 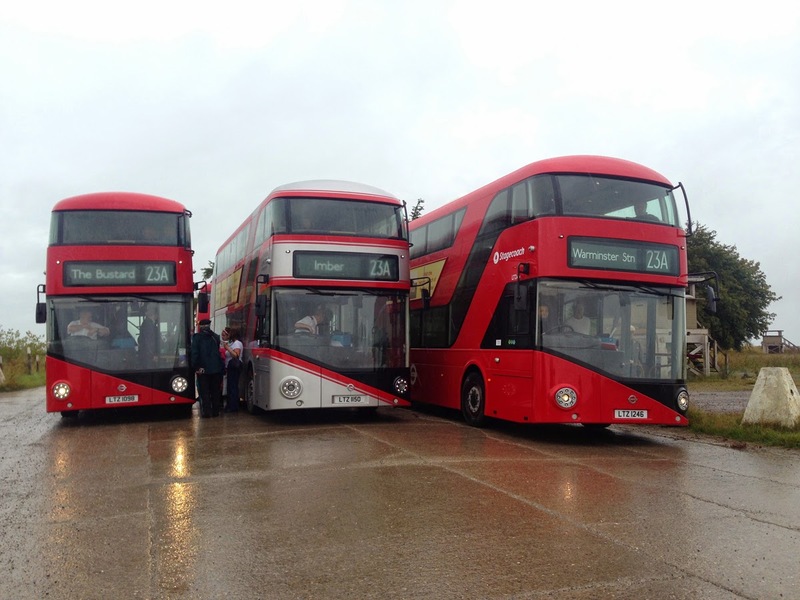 Not of the sort you might think of, but by a fleet of red London buses both current and now in private hands. One of those hands is the current Commissioner of Transport for London, Sir Peter Hendy. And indeed he has a hand firmly on the organisation, whereby this band of buses provide enthusiasts and others alike, with a unique view of the landscape, as they trundle their way across the military roads. For one day only (this year it was Bank Holiday Monday the 25th August), a small network of services ran the Imberbus route 23A out from Warminster to the unlikely destinations of Imber, The Bustard and Brazen Bottom. 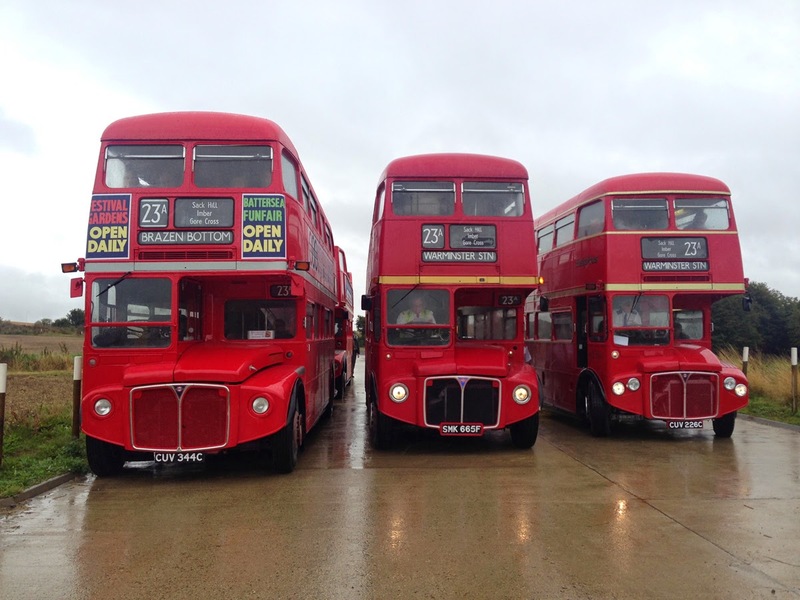 Despite the appalling weather conditions a mixed bag of ten original Routemaster variants (RM, RMC, RCL, RML), were joined this year by three of the 'New' Routemasters (the New Bus for London), and in doing so raised a considerable amount of money for charity. You can almost hear Sir Peter Hendy saying "See, one day all this is mine"